Mark “Papion” Simmons is one of those mappers who were only active in the very early period of Unreal SP mapping. Apart from his most famous work Nali Cove 2 he also authored one of the maps of Peril on Mars as well as one of the later scrapped maps of Team Vortex’s Operation Na Pali before he left the team shortly after its foundation. Nali Cove 2 is one of the more popular early SP maps of its time that probably struck most players as impressive, and we can see why. Unlike most maps, it actually had a concept. 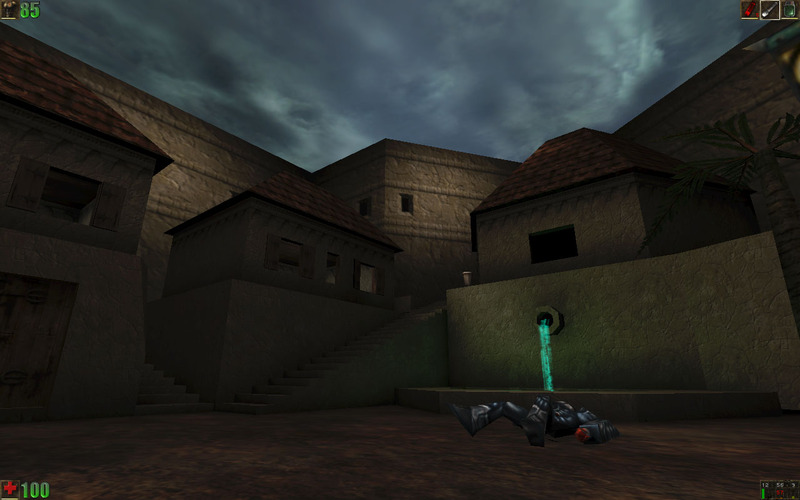 How well it was executed is debatable by today’s standards but if we strictly look at it through the eyes of the 1998 Unreal player and not as a seasoned veteran who played all the great map packs released years later, it is fair to say that it is a nice map that deserves a small shelf in the archive of Unreal single player content. As to what the “2” stands for in the title – is it a sequel map or simply a second version – is uncertain but whichever is true there does not seem to be any evidence that a first version vas ever released to the public. For the release date we used the last modification date of the unr file as the readme file does not mention it. This is the auto-generated forum topic dedicated to Nali Cove 2.